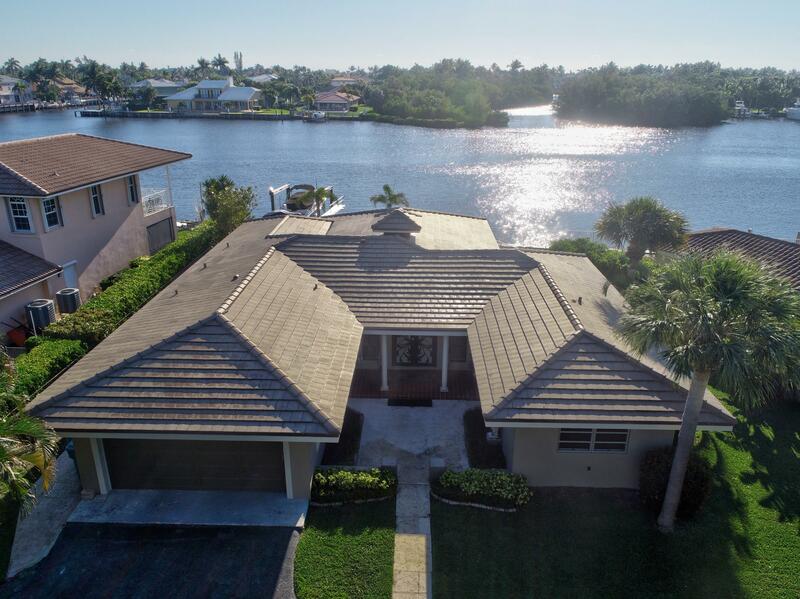 Spectacularly renovated 3 bed, 2 1/2 bath home on the intracoastal and on a cul-de-sac. Offering a wide open floor plan, custom kitchen, pool, spa, private dock, boat lift, jet ski lift, foyer, and much more. Located between the woolbright and boynton beach blvd. Draw bridges. With a split bedroom layout with an art deco bathroom for the two bedrooms, an open european bathroom for the master and a half bath for the garage. The kitchen has an stove top island, double door commercial refrigerator, waist high dishwasher, an oven, a microwave, plenty of cabinets, a breakfast counter and formal dining. The lot is big enough to double the size of the house if desired. This is a rare opportunity for a custom home on the intracoastal that has everything you need to live happily ever after. For more information or make an appointment to see property ID RX-10515406.